"Our goal is to win the Nationals in Turkey"
Irem Tütün is the new coach of the team Golden Roses from Turkey. For this new season, her goals are to create a better team spirit and to participate in the World Championships. 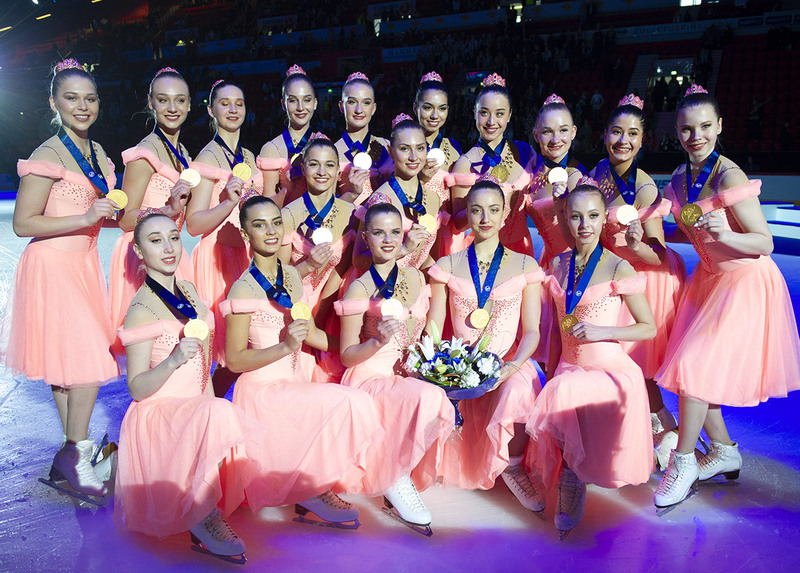 The Junior team has already finished the two programs and prepares for this autumn. Tell us, how your story with synchro started? 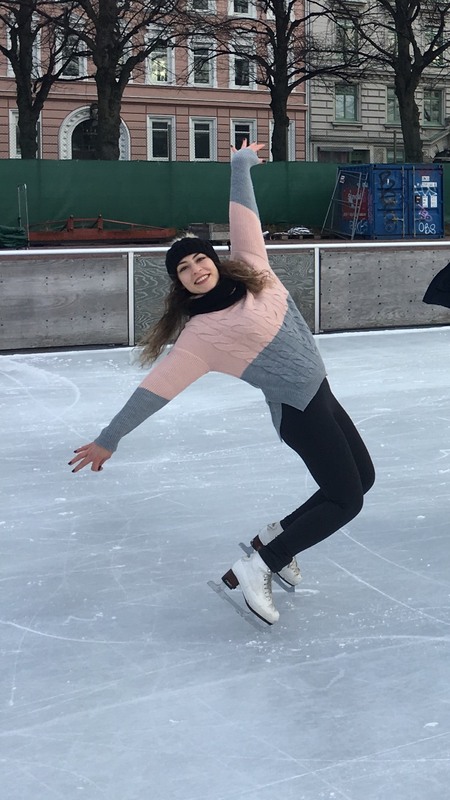 Irem Tütün: I was a single skater, but unfortunately I had an accident and I had to have surgery. But skating was always running in my head. I wanted to go back on the ice but I was a little bit nervous. 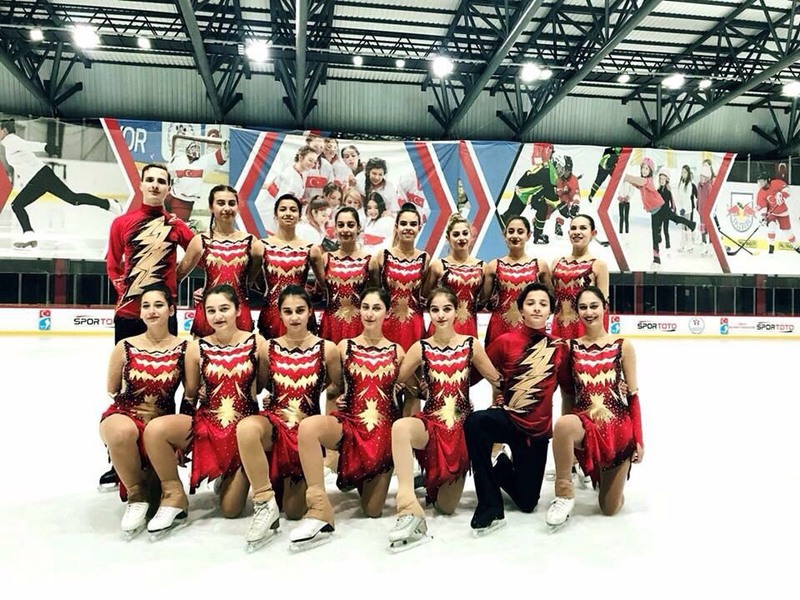 After a while when I was studying at the university, my friend and coach Zeynep decided to build a new synchro team and she invited me to join them. I love skating and actually, I love working in a team, and as you know, synchro includes both of it. So thanks to my friend, my synchro story started. Then, I became a captain of the senior team Vizyon and participated 3 times in the Worlds. Last year, I decided to retire as an athlete because of my age and my problems with my knee but of course, I didn’t want to quit synchro totally. 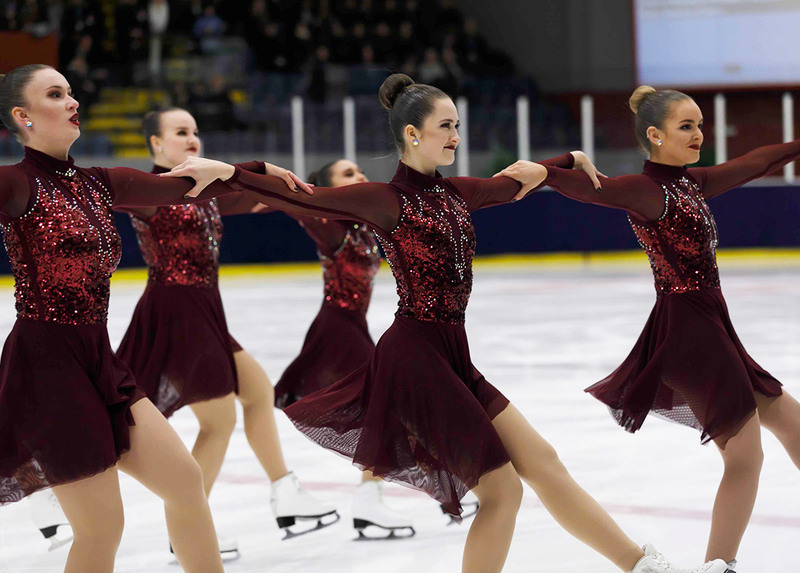 The junior team Golden Roses needed help to improve their synchro skills because they wanted to become a successful team. So they were looking for an experienced skater in synchro. They asked me to become their coach. It was an honorable offer for me and I accepted it with a pleasure. Irem Tütün, a young coach full of dreams for her team. As a new coach, what do you want to change in your team? My first impression of the team was that the team spirit was very weak. They know each other, they like each other but they didn't know how to be a team. Before anything else, my goal is to build a team spirit. I want to see the connection between skaters. Because I believe that without a team spirit, we can not be a successful team. Additionally, in the past, they didn't do any off-ice training. This season we will have extra lessons like dancing, yoga, stretching, etc. Can you tell us a little bit more about the team? Yes, our team manager Sibel created the team Golden Roses and this season will be the 3rd year of the team. Why is this team called “Golden Roses”? The name of our club is Golden Skaters Sports Club. The name "Golden" came from the club. The story of the name "Roses" is a little bit heartbreaking. The name of the head of our club was Gül and the meaning of her name in English is "Rose". Unfortunately, we lost her… and in memory of her, her name was given to the team. What are the main goals for the upcoming season? Our main goal is to win the Nationals in Turkey and participate in the Worlds Championships. We would like to get a good rank in the Worlds. This season, we will try to do our best and get our best score. 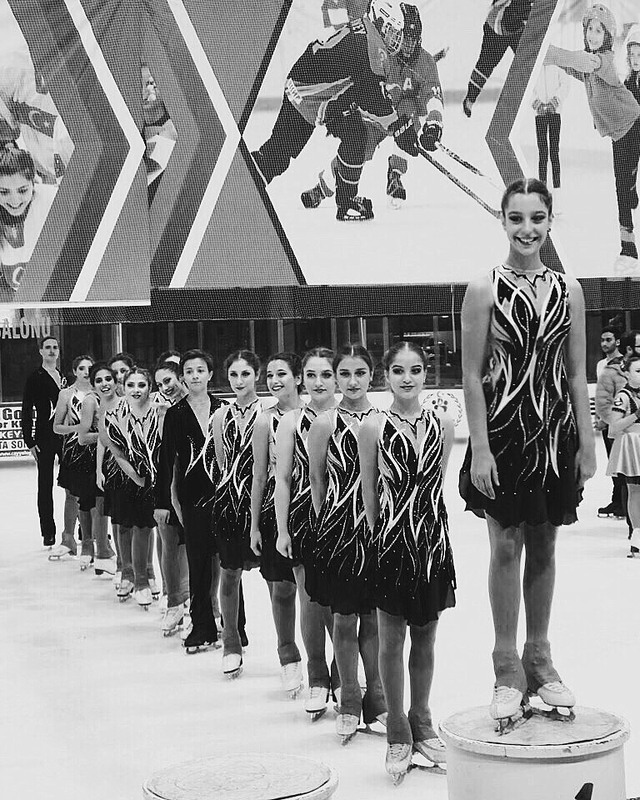 We will try to improve the technical elements, the program components, the skating skills and the interpretation. We are planning to take part in the Budapest Cup and we also want to get a high score at this competition. What about programs for the new season? We had a summer camp in July. Some specialists helped us to create the new programs. We finished both. Our short program theme is "Sweet dreams", and our free program music is "La Strada" by Nino Rota. These programs are really different. The free program is more dramatic and impressive. In the short program, we have an interesting theme to show. I hope that judges and spectators will enjoy our programs. How synchronized skating develops in Turkey? Synchronized skating is a new sport in Turkey, but it's getting more popular day by day. Five years ago, we had only junior and senior teams. If I am not mistaken, we had 5 teams in total. Now, we have almost 20 teams representing all categories. In Turkey to be a skater and a student at the same time is too difficult. Our education system always pushes students to study. Skaters are at school from 8 a.m. to 5 p.m. and after school, they have extra lessons and a lot of homework. This is why we practice only during the weekends. Junior and senior teams have 4 hours of ice practices per week and the other teams have 1 or 2 per week. Of course, we know that it's not enough to be the Worlds Champions (laughs)! But we try to achieve our goals. Sometimes we organize training camps during the holidays. What about competitions in Turkey? 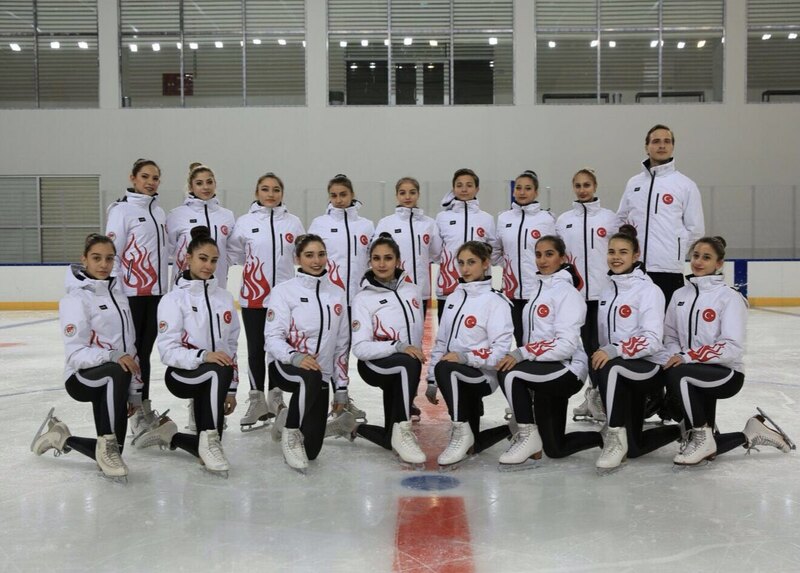 During the season we have 2 competitions in Turkey before the Junior Worlds. Our first national competition will be in January, the second in February. I think that January is too late for the first competition and we will not to have enough time to do changes if it will be necessary. But we always stay positive!